Cait's Cozy Corner : Wish List Made Easy Thanks To BabbleBoxx! The holidays can be extremely overwhelming especially when it comes to shopping. Do you make a list? A wish list? Ask for what people want in hopes that you get it right? to ease yourself and your anxiety, the best thing is to try enjoy it all, within one easy product! 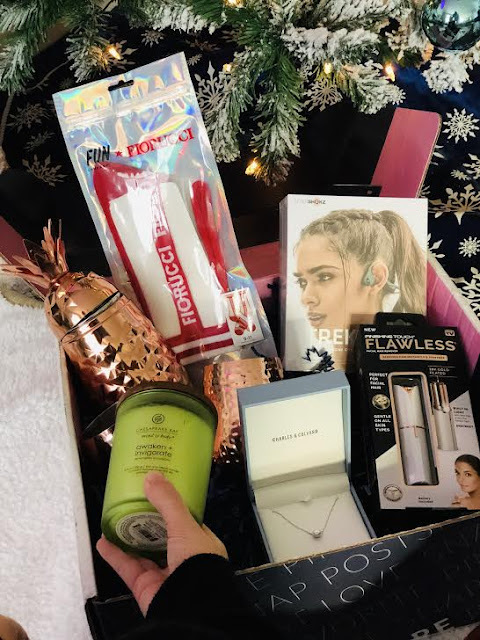 I'm so excited to be partnering with BabbleBoxx to share a whole box full of amazing items that are on your wish list to get you in the holiday spirit as well as help for some gifting ideas for friends and loved ones! The box arrived on my doorstep just in time for me to take a quick peak inside and see so many amazing goodies that I'm already excited to gift to friends! 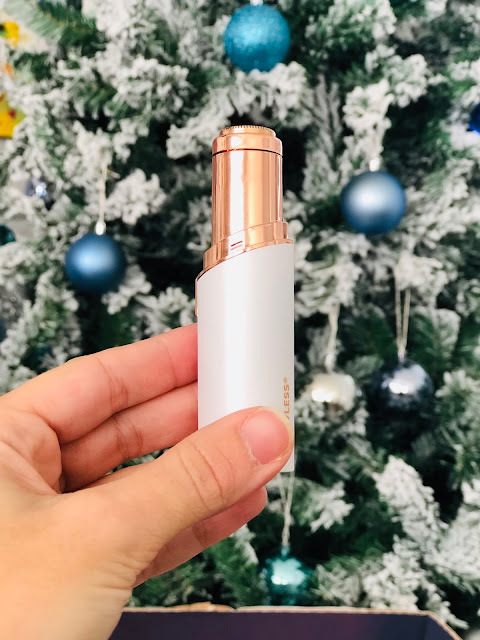 For those that may not have heard of this company before, Babbleboxx works directly with brands to distribute certain products to bloggers and influencers for the purpose of getting reviews or feedback on the items. Basically- it's an amazing PR package to receive filled with all sort of items you may not have heard of otherwise. They also have theme boxes and this particular one is a Wish List, which is perfect considering I have a few relatives and friends whose birthday and Christmas fall pretty close to one another! Here are a few items that they included in this great surprise box! AfterShokz Headphones - Do you have a fitness loving friend that would adore wireless headphones? My husband is a huge fan of enjoying music but also not shutting out the entire world around you. AfterShokz is actually an open-ear headphone which allows you to hear everything! They are extremely lightweight and pair with a bud-free listening experience you're able to do so many more things without getting strangled with your cord! I love the that it's actually a forest green color which is the perfect complement for the holiday season plus they don't have actual ear buds so you don't have to cram them in your ear. My husband actually has cauliflower ear on his left side from many years of wrestling so he's always having trouble putting an earbud in- well now he doesn't have too! 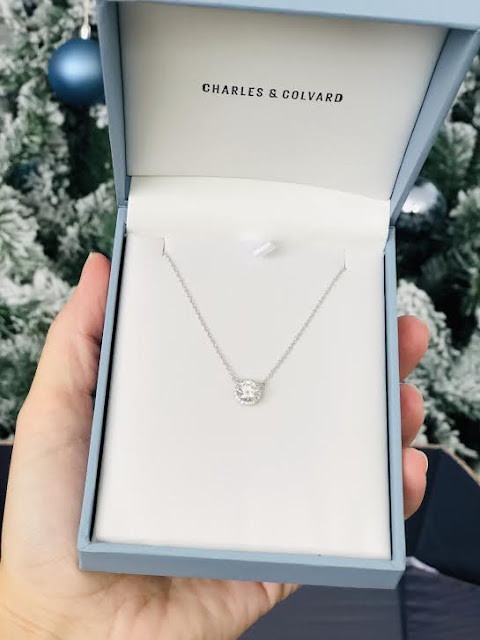 Charles & Colvard Signature Moissanite Necklace - When I first opened up this beautiful gift, I was in shock at how simple and stunning this necklace was. The Moissanite is a brilliant gem with a white gemstone as well as unique optical properties that out sparkle anything I've ever seen before. It's not an actual diamond but it's made in a lab that's recreated and perfected to it's beautiful state. You'll for sure dazzle this 14k white gold necklace for someone who deserves a bit of sparkle in her life. Find out more about what else this great company offers as well. 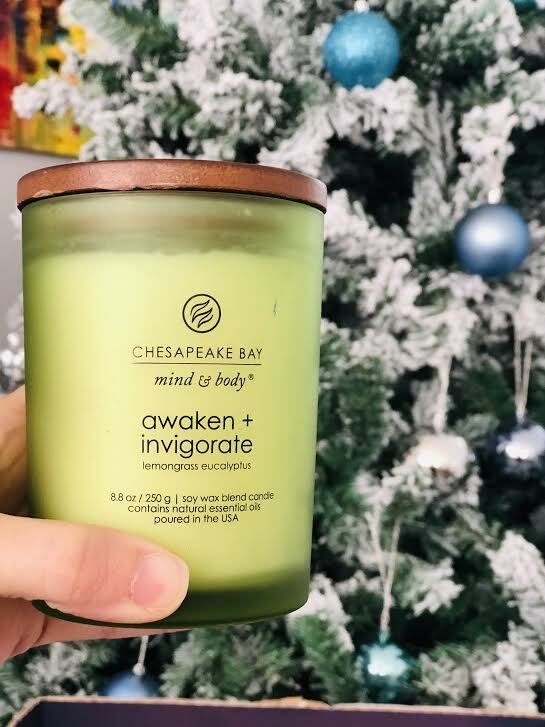 Chesapeake Bay Candle- I'm a homebody person by nature so having a great smelling candle is key and a great gift to give someone. One thing that stood out was that this is actually a soy wax blend candle which gives a clean burn which makes me great about having it fill our home with a delightful scent. It includes essential oils such as peppermint, spearmint and lemongrass which I absolutely adore those scents in my home. It truly leaves me feeling awake and ready to take on the day! Finishing Touch Flawless - This amazing devices helps remove facial hair and peach fuzz flawlessly! No really- I wasn't sure how I would like it but it actually was amazing and left my skin not irritated or those awful redness or bumps. I took this with me on a recent trip and it was perfect for a few touch ups while I was away! Cocktail Shaker and Glasses - Are you in need of a cute hostess gift? 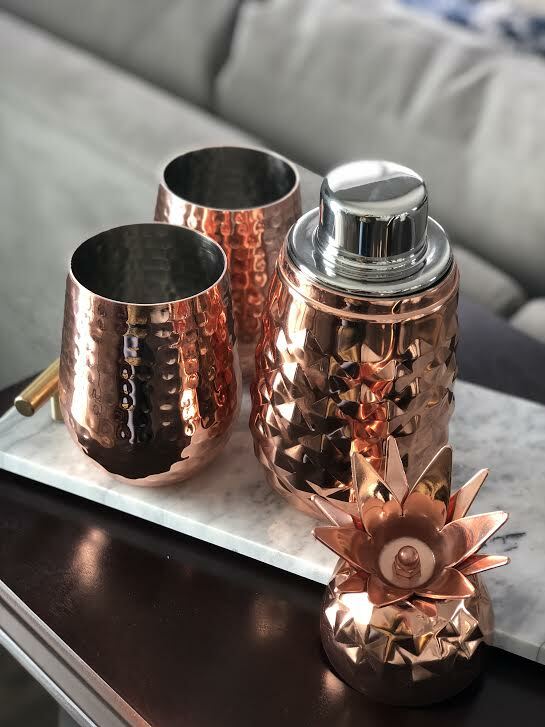 This adorable Crafton cocktail shaker and adorable moscow mule glasses are the perfect gift! They are from Aldi and such a great bar gift for a low price which is amazing because I actually forget that Aldi not only sells groceries but great home items as well! I can't wait to see how my family members will use this during the holiday season! This specific cocktail shaker ($9.99) and drinkware (a set of 2 for $8.99) will be available for a limited time at select ALDI stores starting December 19, 2018. What items would you gift for a friend or family member? Tell me something that's on your wish list this year!